You might be surprised, but God has made us many promises. He has provided promises that will meet every situation of our lives. But rather than claiming this inheritance, so many of us instead live a life of spiritual poverty. Or we often misuse the promises God has given us. Today, Dr. Young concludes his message, “God’s Amazing Promises,” and shares the covenant God’s made with you and the amazing gift that’s now yours for the taking. 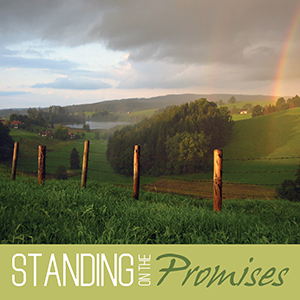 Today, Dr. Young begins a message called “God’s Amazing Promises” where he helps you see how to trust and rest in God’s promises to you.